Sun degradation makes regular plastic brittle and causes premature damage. Even plastics that claim to be "All Weather" may not be suitable for prolonged sun exposure. Our greenhouse plastic films have UV stabilizers for prolonged sun exposure and are rated for 4 year use. 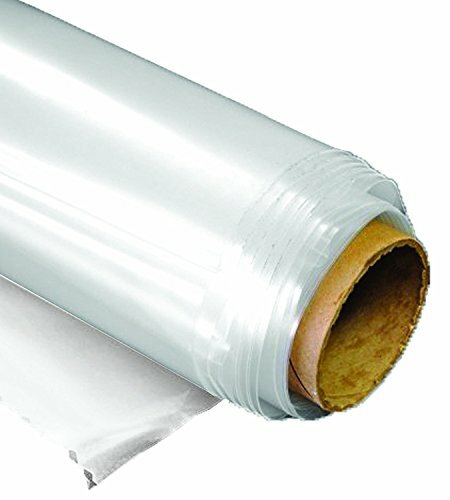 This is a 6 mil film, made with top quality polyethylene resins for superior clarity and strength. Formulated for high light transmission, especially the light wave length that is necessary for plant photosynthesis. The film is manufactured in an ISO-9001:2000 International Standards, and undergoes strict quality controls and testing to ensure every single film will perform to its standard. Protect your crops and plants from the weather, and enjoy longer growing seasons with our commercial quality films. Professional growers in five continents trust the quality of our films to create the perfect ambient for their flowers, produce and ornamental plants. Don't see the size you need? Contact us for custom sizes.